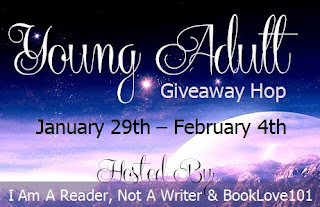 Welcome to my Young Adult Giveaway, hosted by I am a Reader Not a Writer and BookLove101. Visit either of their websites to view everyone else participating in the hop. I am giving away an e-copy of Remembrance, the first book in my Transcend Time Saga. The winner can choose between an ePub, PDF, or Mobi file. "Remembrance is one of the most beautiful books I've read this year. I could really feel the characters, and what they were going through. I loved it!" "The way Madow's writing style managed to stir so much emotion in me was shocking. Remembrance is beautifully told from the first sentence to the last." "I have read a lot of reincarnation stories but this one is totally EPIC!" Also remember to download your FREE copy of Transcendence, the Transcend Time Bonus Packet that includes a sneak pack of Remembrance! CLICK HERE TO DOWNLOAD! Use the Rafflecopter below to enter to win an e-version of Remembrance. Thank you for the Giveaway and for the gift! This book looks good! Can't wait to read it! Already have this, so I'm not entering. Just wanted to say good luck to those who are. :) Remembrance is a great book and anyone who hasn't read it yet is in for a treat. Have a great day!